Jeff focuses ON World's talented team of analysts at solving the critical research needs of our customers. He provides technical analysis, consults with our clients on their emerging technologies, business development strategies and directs the development of our in-house analytic research tools. Before founding ON World, Jeff held senior positions for Apple Computer, Oracle/Sun Microsystems and General Electric Medical Systems. While working at these companies, Jeff developed many ground breaking-technologies and received several individual and group patents for his contributions. In his spare time he likes to create music and is a gold record recipient for his musical work with Joe Satriani on "Surfing with the Alien." Jeff has a master's degree in information systems from Marquette University, Milwaukee, Wisconsin and a bachelor's degree in physics from Indiana University Bloomington, Indiana. Senior Technical Advisor: Michael W. Ritter, Ph.D.
Mike provides ON World with technical advice and strategic analysis on emerging wireless technologies. His background includes executive positions with wireless startups such as Adstrata, Mobility Network Systems, Vyyo and Metrocom, and management positions with Sun Microsystems, Apple and Google. An entrepreneur and author of multiple technical white papers, Mike has designed software-based radios that are compatible with Bluetooth and 802.11b. Examples of his writing include the is article, "The Future of WLANs," that was published in ACM magazine. For fun, Mike likes to jump mogols on his snowboard in the Sierra mountains. Mike has a Ph.D, MS and MA in physics from Yale, New Haven, CT and a BS in physics from Stanford University, Palo Alto, CA. Senior Technical Advisor: Charlie Chi, Ph.D.
One of the world's leading wireless sensor market analysts, Charlie is one of the few analysts in this field with extensive and relevant industry experience as a technologist. Charlie's background includes experience as founder and CEO of a MEMS startup in the healthcare industry, product manager and management consultant in the communications and medical technology industries. He has led numerous and varied projects involving networking real-time systems, embedded control systems, sensors, MEMS and photonics for companies such as OtisMed, Stryker Orthopaedics, Agilent, Integrated Surgical Systems (ISS) and C Speed. Charlie is also the founder and president of Wren Technologies, a private consulting business focused on Wireless Remote Embedded Networking solutions. Charlie's interests include Communication Systems, Robotics and Automation, MEMS, Adaptive Systems and Computational Intelligence. Charlie holds a Ph.D. and B.S. in electrical engineering from UC Davis and a M.S. in electrical engineering from Santa Clara University, Santa Clara, CA. Mareca leads ON World's research projects and drives the creation of our reports. Since 2003, she has conducted research on Internet of Things technologies such as wireless sensor networking, MEMs, energy harvesting and cloud-based IoT platforms. Over the past decade, she has covered thousands of companies in the industrial, utilities/energy, building automation, smart home, mobile/telecom, consumer electronics and health/medical industries. A 20-year high-tech veteran, Mareca has extensive research experience on emerging technologies for venture capitalists, startups and Fortune 1000 companies. Her analyses have been instrumental for private equity investments in companies that have a combined value that exceeds $2 billion today. In her spare time, Mareca likes to run long distances such as the 26.2-mile Rock 'N Roll marathon in San Diego, California. Mareca has a bachelor of science degree from San Jose State University, San Jose, CA. A member of our technical team, Darryl contributes to ON World’s proprietary information systems, statistical analysis, and data models and provides expertise on wireless, communications, and semiconductor technologies. Darryl has more than 20 years of experience in wireless information systems for companies such as TRW and Tracor Elsin. Before joining ON World, Darryl was a venture capitalist for a San Diego, CA based firm focused on emerging wireless technologies. Darryl has a master of science degree in computer sciences from UC Berkeley and a B.S. in electrical engineering from Massachusetts Institute of Technology in Boston, Massachusetts. Brian’s background includes nearly a decade of technology research, high-tech publishing and investment banking for USB Warburg, LLC, Fred Alger Management Inc. and Miller Freeman, Inc. In addition to competitive and financial analysis of more than 150 technology companies, Brian built and maintained company earnings models, conducted primary research with senior management and wrote company and industry white papers on 3G networks, 802.11 versus HomeRF and GSM and CDMA Convergence. Brian has a master of business administration (MBA) from Cornell University’s Johnson Graduate School of Management from Ithaca, New York and a Bachelor of Arts in English from the University of California at Berkeley, Berkeley, CA. Kathleen's background includes seven years with Dataquest (Gartner Group) a leading market research firm headquartered in San Jose, CA. She is a high-tech marketing veteran, with more than fifteen years of product marketing experience with companies such as Sun Microsystems, Clarify (Nortel Networks) and Silicon Graphics (SGI). Kathleen's adventures have included climbing to the summit of Mount Kilamanjaro. Kathleen has a MBA from Golden Gate University, San Francisco, CA and a bachelor of science from Northeastern University, Boston, MA. Danielle has a decade of experience with designing, managing, and implementing quantitative market research and aligning results with business strategy. She has worked for companies such as ACNielsen, the Forbes consulting Group, and Affinnova. Danielle has a BS from Northeastern University, Boston, MA. Anna has had several years of research, report writing, statistical analysis, and data modeling experience for the Australian Bureau of Statistics, University of Western Sydney, and Australian Taxation Office. She has authored several technical reports including on wireless communications such as GSM and CDMA. Currently pursuing a doctorate, Anna has been awarded a master of commerce in marketing from University of Sydney and a bachelor of economics, majoring in econometrics. Marc is an expert in network/systems engineering & security, (HA) 24X7 web operations, WiFI/WLAN, VoIP & advanced system integration. For the past several years, Marc Paley has been managing both production and corporate network operations as well as solving network problems for several software & technology companies. In addition to ON World, Marc has implemented networking solutions for companies such as: Line6, Inc., Westfield Corporation, Comcast, NBC Universal, GoldenGate Software, Salesforce.com, Inc., Avid Technology Inc., MySQL, Inc, Utility.com, Pure Digital Technologies, Digidesign, SF Academy of Art College, AutoDesk, Cinebase Software, Eloquent Software Inc., Pacific Bell Network Integration, QuestLink Systems, BV Capital, Micromenders, Gaz de France, Teldata Systems, & FirstPoint Energy. Marc has a M.S. in Information Systems Management from University of California at Santa Cruz and a B.F.A. in Music Composition & Theory from San Francisco State University. We are always interested in talented people who are passionate about market research and the Internet of Things! ON World is hiring talented analysts and researchers worldwide. 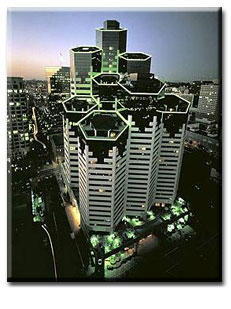 and is headquartered in San Diego, California.